Two longtime SDS/2 customers — St. Louis, Missouri-based Industrial Detailing, Inc. and Paxton & Vierling Steel Company of Carter Lake, Iowa — were recently part of the team responsible for construction of a new parking facility for Nebraska Medicine. With its rapidly expanding campus, Omaha-based Nebraska Medicine needed to create additional on-site parking to meet expanding demands. The new eight-story garage — comprised of approximately 800 tons of structural steel — includes 730 spots in its double helix ramp system. The garage’s superstructure uses wide-flange steel columns and beams; a two-part coating system was used on all steel framing members. 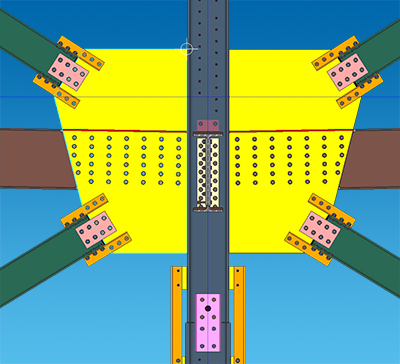 As profiled in Modern Steel Construction, the detailing of the slab and beam interaction was critical to minimizing the potential for cracking caused by slab restraints with a volume-changing post-tensioned deck. The garage was completed in 2015. To find out more about this project, read "Second Time Around" in the July 2016 issue of Modern Steel Construction. Design Data is looking to hear from you on the successes you've achieved in the industry! At this year's SDS/2 Users Group Conference — which will be held October 12-14 in Lincoln, Nebraska — we'll be sitting down with our customers to record their stories. We want to know how your business is flourishing, what milestones you've achieved, what notable projects you've worked on, and how SDS/2 has helped your company grow. If you're interested in telling the story of your company, and the role SDS/2 plays in your company's success, please email Michelle McCarthy to set up a time to record your testimonial at this year's conference. If you haven't yet signed up for the 2016 SDS/2 Users Group Conference, click here to register. There are four more Basic Training dates available this year: September 12-16; October 24-28; November 7-11; and December 5-9. Two Continuing Education courses will be held this year: September 26-30 and November 14-18. Design Data offers an online basic training course so you can attend from the comfort of your own office, with less downtime and no travel expenses. This basic training course covers project setup, member input, connection design, material input and more. There are four online training dates remaining in 2016: September 19-22; October 3-6; November 28-December 1; and December 12-15. Design Data's Experience SDS/2 seminars give potential customers a firsthand look at all SDS/2 has to offer — from automated AISC code-based connection design, custom members and components to site planning, management and model review — and a chance to take the software for a test drive. 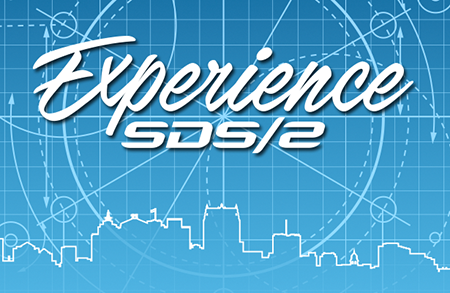 5:30 p.m. - 6:00 p.m.: Experience SDS/2 for yourself. Bring your IFC files and find out how SDS/2 can change how you work. An additional seminar has been scheduled for September 22 in Chicago, Illinois, at the Kimpton Gray Hotel, located at 122 W. Monroe Street. Attendance is free, but you must register to attend prior to the seminar. You can learn more and register here. 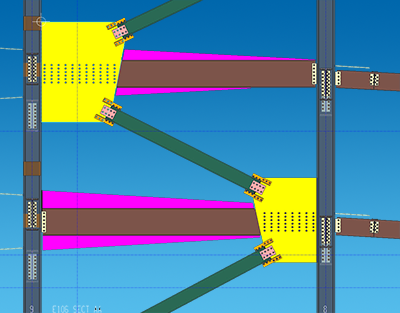 There have been many recent advancements in structural steel material specifications, fabrication methods, connection technologies, detailing software, and estimating tools. These new innovations, when used together, create a more efficient process for designing and constructing steel buildings. This half day seminar, led by steel industry professionals including Design Data and SidePlate, will take the attending designers and contractors through the modern day steel design and construction process, demonstrating how they can use these new technologies, software and methods to increase their own efficiencies and overall profitability. The presentation will provide valuable information to help all design and construction professionals maximize the innovations that exist within the structural steel industry and improve the outcome of their own steel building projects. The seminar takes place on September 22 at The Franklin Building, located at 227 W. Monroe Street. Parking is available in the building; however, no validation is provided. The cost for the seminar is $30 per attendee, and includes breakfast.